SIGHTED! 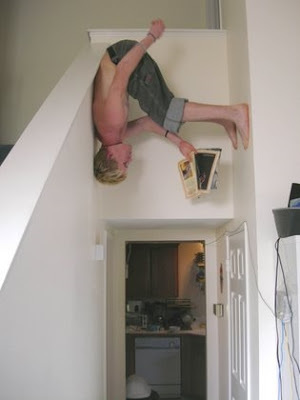 The elusive upside-down xtreme reader, rarely captured on film. Who knows what he is reading--we are lucky just to have found him!